Texas Parental Rights: Can a Non-Parent Sue a Parent for Rights? When Can a Non-Parent Sue to Affect Parental Rights in Texas? 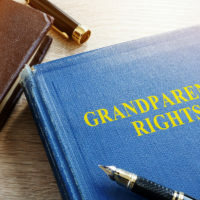 The Texas Supreme Court recently issued an important opinion about the limited circumstances under which a non-parent serving a parent-like role, such as a grandparent or other guardian, can sue to affect parental rights. Read on to learn about the case and Texas parental rights. Contact a knowledgeable family law attorney with any questions about child custody or possession. The case In re H.S. involved a child who lived in her maternal grandparents’ home for the first two years of her life. Her birth parents were unmarried but shared parenting duties, and her mother lived with the grandparents. The girl would stay with the father on alternate weekends and some holidays. After the first year, the mother went to rehab for alcohol abuse, and based on the agreement of the mother, father, and grandparents, the girl continued to live with the grandparents. The mother considered rehab temporary and planned to return to her daughter, and visited home when she could. The mother’s rehab stint took longer than expected. After six months, the grandparents decided to file a “suit affecting the parent-child relationship” (SAPCR). The grandparents claimed that the mother had voluntarily relinquished the “actual care, custody, and control” of the girl, and asked for parental rights such as the right to determine the girl’s primary residence and the right to make medical or educational decisions with the consultation of the birth parents. A non-parent has standing, or the right to bring an SAPCR lawsuit, under Tex. Fam. Code § 102.003(a)(9) if the nonparent had “actual care, control, and possession of the child for at least six months.” The trial court and appeals court found the grandparents had standing. The court of appeals found that the parent would have had to voluntarily “abdicated his or her own care, control and possession,” or be unfit, for a non-parent to be able to sue. The Texas Supreme Court disagreed. The Court focused on the meaning of “actual care, control, and possession,” finding that neither “legal control” nor “exclusive” control of the child are necessary for the nonparent to have sufficient interest in the case to sue regarding parental rights. Sharing a primary residence with a child, taking responsibility for the child’s daily needs, and making typical parental day-to-day decisions are enough for standing. The Court disagreed that either the fact that the parents intended the arrangement to be temporary, or that the parents remained involved in the girl’s life to some extent, meant that the grandparents did not have “actual” control and possession of the girl. It is important to note that the Court only addressed whether the grandparents could bring the lawsuit at all, not whether they would win–the Court remanded the case to the trial court to determine the merits of the case. If you have questions about child custody or Texas parental rights, contact the compassionate and knowledgeable Houston child custody attorney Maria S. Lowry at 713-850-8859.